Dieter Burmester, founder of the celebrated German audio company, Burmester. Concert-hall sound levels with audiophile precision. Singer-songwriter Allan Taylor needs only his voice, a voice that resonates with a lifetime’s experience. His songs run the gamut of emotion. Taylor is a consummate storyteller, and the instrumentation effectively augments his delivery. On his album Hotels & Dreamers, the bottomless bass in “The Beat Hotel” is impressive; the song, which chronicles the alternative lifestyles and excesses of the Beat Generation, is absolute ear candy to listen to. Space seems to extend into infinity, as if it is only here to hold the tones. And the sound is so clear, so pure, so near, that it’s hard to believe it is coming from the speakers in the car—even if it is a Porsche Panamera. (And, no, Taylor is not hiding in the back seat.) At the wheel of the Porsche Panamera is Dieter Burmester, who says, “I don’t like to talk and listen to music at the same time.” So we listen. 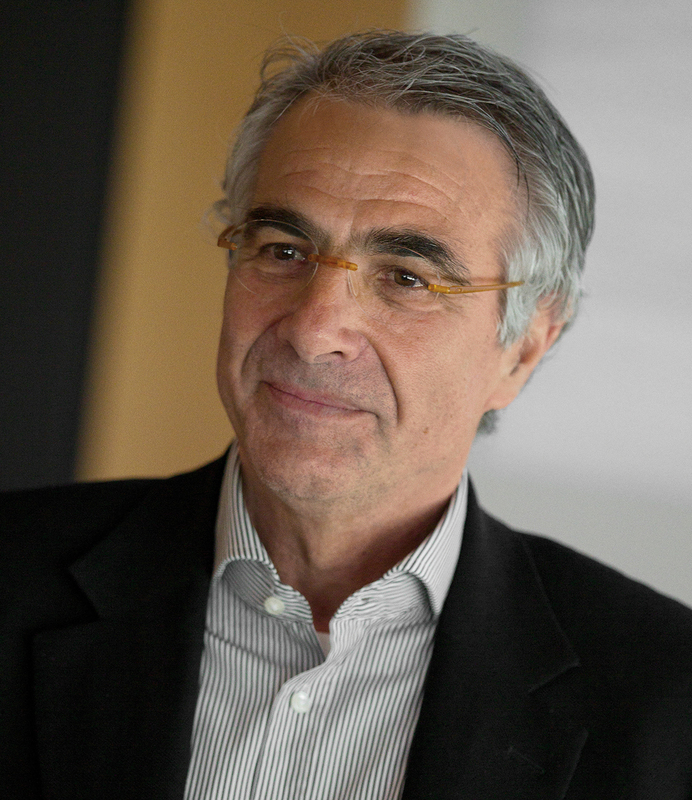 Dieter Burmester is the founder of celebrated German audio company Burmester. Its products include preamps and power amplifiers, CD players, D/A converters, integrated and multi-channel amplifiers, power conditioners, phono preamplifiers, surround processors, FM tuners, speakers, accessories, and premium home, vehicle, and yacht sound systems. Burmester provides an unparalleled audio experience, with impeccable clarity of sound and vision, and remarkable simplicity of use. Of late, Burmester has teamed up with Porsche to produce the high-end sound system for the Panamera and Cayenne. Turning the volume up and down, the very low and very high tones remain crystal clear. “There’s not the slightest distortion,” says Burmester. He is fun-loving, upbeat, and he enjoys demonstrating his wares. “Can you hear that?” With this system, you hear everything—and a good deal more, up to 125 decibels withoutany shakes or reverberations. This sound is addictive. Burmester got his start by converting a medical electronic device into a top-quality audio amplifier. “I took the tube amplifier apart and thought, why not take the principles of engineering and apply it to sound?” The result was the 777. The name is based on the month and year it was created (July 1977). “Friends preferred the sound of my 777 and kept asking me to make them one,” he says, smiling. “One of my friends took his 777 to the press.” Since then, his company has become the ne plus ultra of sound systems. Burmester’s distinguished production site is a nondescript building in the Schöneberg district of Berlin. A few steps into the vestibule, it becomes evidently clear why enthusiasts pay between $50,000 and $400,000 for a single two-channel system. (A Burmester home-cinema facility with all the extras can cost up to $1-million. Chrome is the predominant standard; however, if you desire bespoke finishing, there are plenty of options—24-karat gold is a common request.) The attention to detail and overall care taken in the manufacturing process is nothing short of spectacular. Each and every person involved in the daily procedure is an artisan working on jewellery-like construction involving hypermeticulous quality assurance. The component selection, the assembly, the redundant inspection process, the precise documentation—all is done “the Burmester way”. Scores of colour-coded binders bearing the numbers of component models cover an entire wall. These contain the research and development information—electrical and mechanical information and operating codes—for every product; they are a treasure trove of carefully catalogued details that lead to the production of each Burmester unit. Each new product was developed out of necessity, so “we didn’t have to use other manufacturers,” says Burmester. It doesn’t matter which Burmester unit you have, the company maintains a very costly inventory of spare parts for every product they have ever produced. So if you are, say, the fortuitous owner of a 33-year-old 777 amplifier, you will still be able to get a new front panel, a new input selector, whatever the part—everything can be fixed. “As a musician, it is about the notes,” says Burmester. “But as a listener, it is the sound.” Crowned with countless prizes worldwide, Burmester’s handmade systems are renowned for their timeless, elegant design, and their unbelievable sound. “Close your eyes,” he instructs, demonstrating the company’s sweet spot of a sound room. “The brain hears what it sees and then you stop hearing.” The purity of the piano, as played by Martin Vatter, is unmatched; it draws you in. The sound is dynamic and smooth, with a sense of great relaxation and ease. 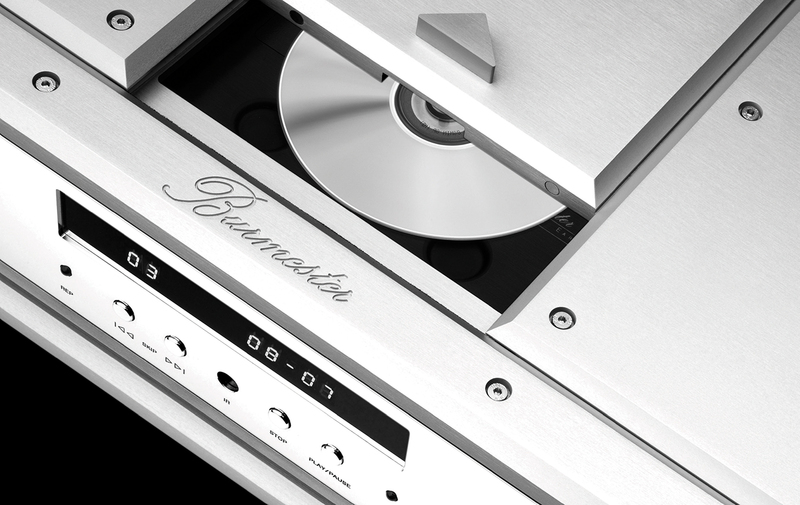 Burmester delivers a warm, full-bodied sound. Ears never lie. Burmester has ensured that this enhanced listening experience extends from the home to the car, and the 16-speaker system originally designed for the Bugatti Veyron has been adapted for the Porsche Panamera and Cayenne. Each speaker has its own separate analog amplifier, which can range from just 25 watts per tweeter to 300 watts for the subwoofer, which is located in the trunk. There is also an Air Motion Transformer tweeter located in the dashboard for ultimate sound quality. The system provides a total output power of more than 1,000 watts. The resulting product provides an unparalleled audio experience that has received the endorsement of Porsche. “People should listen much more to music,” says Burmester. “I don’t care about the system—just listen to music.” But when it is a Burmester, it is honesty and brilliance, absolutely refined sound, great power, adaptability, and pride of ownership.